Surrounded by rice fields, Villa Rumah Lotus offers a peaceful retreat with a private infinity pool overlooking the surrounding greenery. 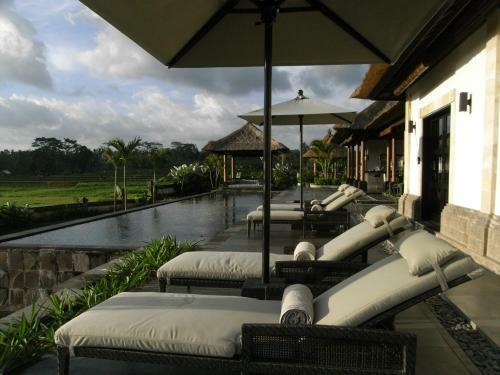 Guests enjoy free shuttle service to Ubud daily and free 1-way airport transfers. A 10-minute drive from Villa Rumah Lotus leads to Payangan Village where guests can go for a white water rafting through Ayung River. Ubud Art Market and Monkey Forest are both 20 minutes’ drive away from the property. 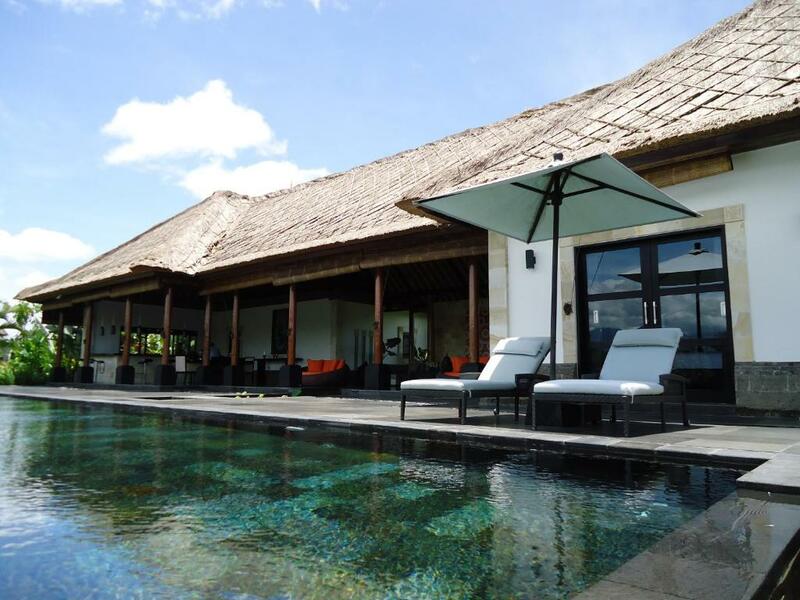 Featuring Balinese décor, the spacious villa comes with an open concept living and dining area, flat-screen TV with DVD player and a private terrace overlooking the pool. Each bedroom has a dressing room and an private bathroom with outdoor showers. For a quiet evening indoors, guests can make use of the free Wi-Fi or lounge in the gazebo while enjoying nature’s company. The villa provides mountain bikes for those who wish to explore the area. Laundry service is offered at a charge, while free on-site parking is available. Guests can make use of the fully-equipped kitchen and enjoy meals in the dining area. 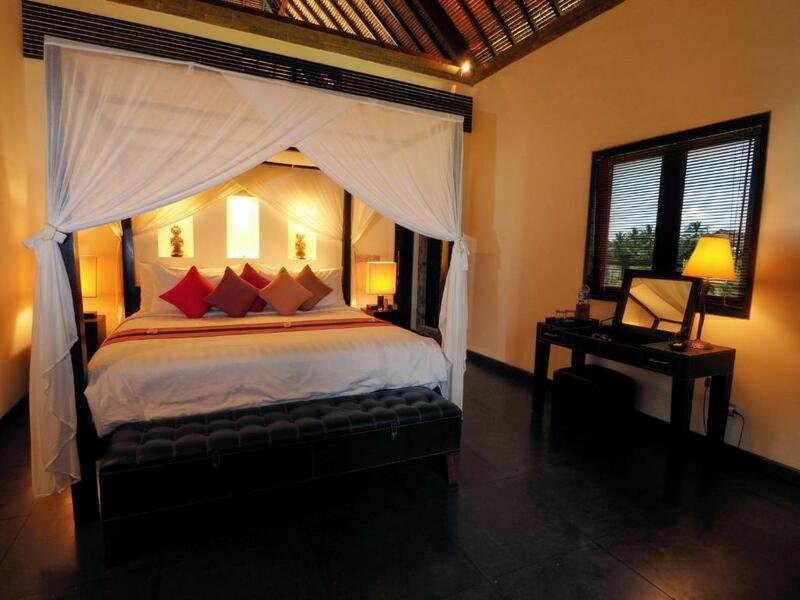 When would you like to stay at Villa Rumah Lotus? Suitable for up to 4 guests, this spacious villa features a private terrace overlooking the private pool and greenery. A kitchen and a living and dining area are included. Private bathrooms offer a bathtub, hairdryer and free toiletries. What makes this property special is the layout design of the villa itself. 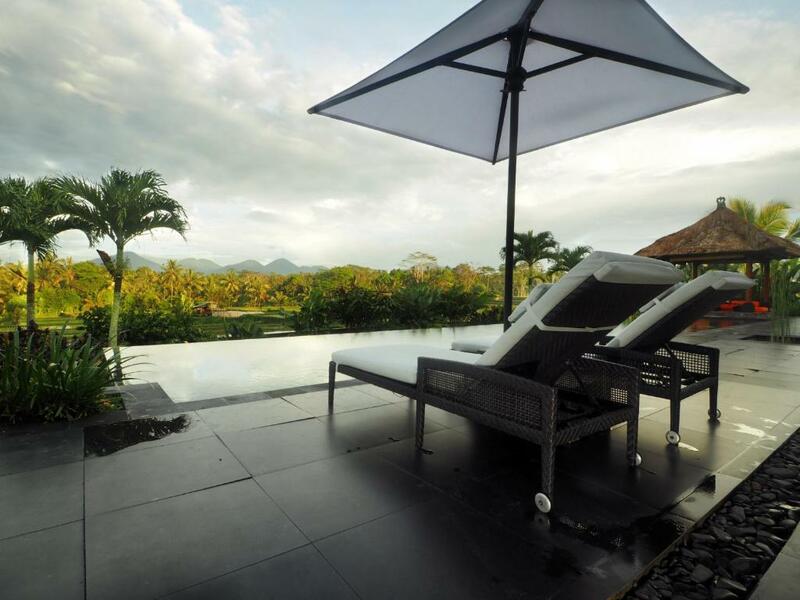 It is designed to have the open space for the living, dining and kitchen area from which you can see the wide open view of rice paddy field and mountain in the distance. Besides, this property also has the combination of its modern touch along with its local look as well. We are still using the alang - alang roof to give the ambiance of Bali and the villa also feel warm and compact because it only has two bedrooms but still the garden is maintained very well and you will feel completely relaxed as well as close to the nature. This tranquility and relaxation are also enhanced by some water features designed around the house, koi pond, water fountain, etc. These are also helping you to get the ultimate feeling of relaxation and tranquility deeply surrounded by the lush green nature. Our favorite things are more into traveling and adventure. We like to visit various different places around the world and being close to the people in each area to really learn their culture and if possible getting involved in their daily activities. Because of our hobby which is traveling as I mentioned, we do understand your expectation when you come and stay at our villa, and we would definitely do our best to make your vacation the one which you cannot easily forget in your whole life. We would totally feel glad if you are happy and satisfied during your stay. The surrounding area as mentioned previously is the rice paddy field, jungle and mountain at the distance. When the sky is clear, we can also clearly see the mountains at the distance and this is something magnificent to see around breakfast or when the sun goes down. Because the surrounding is rice paddy field and small village, you can definitely arrange activities to do around such as rice paddy walk/trekking and also the village walk. 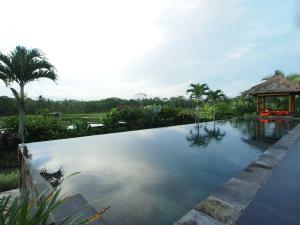 In addition, this villa is also located close to some places of interest such as the elephant safari park, Ubud which is only 15-20 minutes driving and other places such as the water temple, etc. 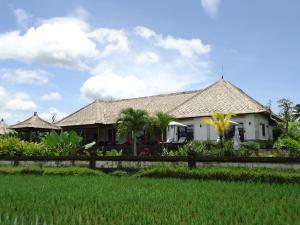 Therefore, when you stay here you will not get bored since you can arrange various activities around the villa. 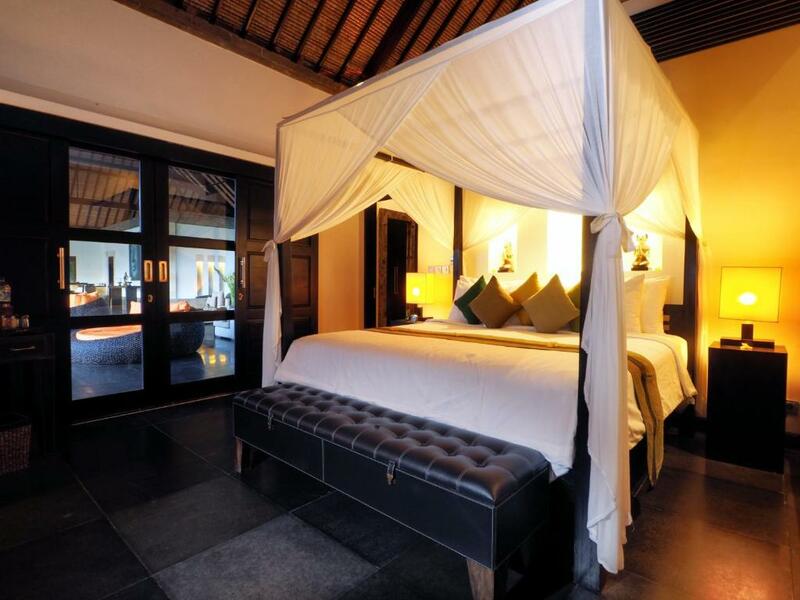 House Rules Villa Rumah Lotus takes special requests – add in the next step! One older child or adult is charged IDR 406000 per person per night in an extra bed. We need at least 5 reviews before we can calculate a review score. 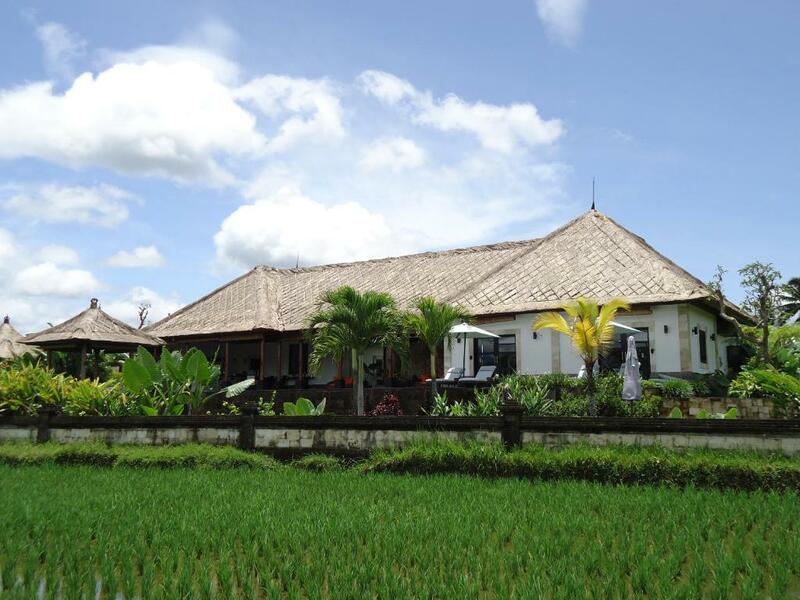 If you book and review your stay, you can help Villa Rumah Lotus meet this goal. The place and staff were amazing. So quiet and picturesque. The staff were respectful and you only saw them when you needed them outside of that you truly felt like you were alone to relax and enjoy. Made and Yanti well so accommodating and dewi was so good with our 1 year old boy.